Outbound sales refers to the method that exists with the goal of generating new business. Many sales and marketing departments have to automate repetitive tasks—prospecting, emails, social media outreach, and other sales talks—which has led to much of the negative response or SPAM label. At its greatest, outbound sales is a method and process that allows companies to introduce businesses to an option they might not have found on their own. That is, to provide value to prospects with highly personalized, useful information that helps convert outbound prospects to qualified leads and buyers. This type of outbound sales effort performs extremely well and generates significant new revenue for companies, and best of all provides an excellent return on the investment. It’s not typically the easiest sales initiative to execute on, but value-adding outbound sales are certainly not impossible. However, “outbound sales” is often considered a negative term, where executives are bombarded with emails from sales software and are now under the impression that all of the outbound sales methods are SPAM rather than necessary for growth. This misconception leaves many companies struggling to generate new business, and with no solution to generating new leads. The issue is that companies begin buying lists of email addresses and simply sending an aggressive email asking people to buy their service/product instead of following an inbound-outbound approach. While it seems like a quick fix to spike sales, it’s not a long-term solution, nor does it create the win/win foundation for a healthier, longer relationship with your future customers. Many marketing and sales investments fail without both inbound marketing and outbound sales. So how do you do it all? This post will help you. It will teach you what good outbound sales look like, whether it’s right for you, and how to execute it successfully. Why does outbound sales fall short? Did permission marketing (hat tip, Seth Godin) fall on deaf ears? Are companies unable to create an ethical list of prospects, and provide value and nurture those relationships? Do you care about your brand, your name, or your work? Call it soft, but these types of actions (and they’re coming from very reliable and legitimate businesses) are painful for me to receive each day. They weaken our ability to appreciate the real power of outbound sales. No wonder that the vast majority of people hit delete and move on. How did emailing strangers (cold emails) become everyone’s worst nightmare (thanks, outbound sales!)? When someone calls you to introduce their business and offer, and you either send them to voicemail or gracefully lie to them that you already have a solution in place, this was the old way. Now you get unsolicited email requests or a message sent via LinkedIn. It’s common knowledge that we’ll all get contacted whenever there is an opportunity or point of access. If you’re not in the lead-generation space, whether that be marketing or sales, you might wonder where these sales people get the nerve to do this, or where do they get or buy your email? Now, these “sales professionals” can take it up to a new level. They are using sales automation software and tools, building a unique and customized “Customer Journey,” and email schedule and simply adding my email (and yours) into the machine. No longer do you get one email, but multiple emails from a sophisticated software made to appear like a human wrote them just for me. All of these businesses have dumped my email address (and yours) into their sales automation machines and are hitting us incessantly with emails. Yes, “set it and forget it” engines of sales spam. What are the keys to successful outbound sales? There is a foundation that must be put in place to establish a successful outbound sales strategy. Here are two extremely key inbound principles to keep in mind when developing a strategy that scales and evolves with your customers and ideal personas. 1. Recognizing that outbound sales does not do prospecting, create value, do marketing, and lead generation for you, but it can scale your efforts. The first step is to build an inbound marketing pipeline of good fitting leads. You need to generate relevant and high-quality SEO-optimized content that speaks to your buyer’s fears, frustrations, wants, and aspirations. Inbound marketing is the foundation of your outbound sales process. 2. Centering your sales messages and touch points around the real, live person at the receiving end of your campaigns and offering value to them with no obligation. Treat them like any real person standing before you, not a piece of data. When you leverage inbound marketing to map a complete picture of the buyer persona, you can provide value to them based on what’s important to them, not based solely on the emails they open, click through or reply to. When is the best time to invest in outbound sales? If you have an effective inbound marketing approach, producing high-quality content that is generating a steady flow of new, organic traffic and leads, and you’re ready to scale your lead generation efforts, then it might be time to focus your efforts on outbound sales that will target new prospects and convert them to quality leads. Ask yourself these questions when deciding if outbound sales is the right move for your business. Do you need to generate a steady flow of new and qualified leads? Is your sales team complaining about the number of quality inbound leads your marketing team is handing to sales? Do your sales and marketing teams agree on what conversations/value should be provided? Do you have content mapped to your buyer’s journey? Are you tracking your prospects’ interest across every outbound touchpoint and marketing channels (not just email)? Is there proven success from your current lead-nurturing strategy that you want to scale? These are all good signs that outbound sales (when done right) could work for your business. The key here is understanding that outbound sales is not a stand-alone initiative, but can help scale your successful lead-generation efforts. How do I deploy the best outbound sales process for my business? When deciding to implement or improve an outbound sales process, it’s important to support that effort with an inbound methodology that aligns your unique marketing and sales goals. Don’t focus on the individual tactics, focus on the business results and long-term value creation. Here are some resources to help you make a better decision. Email tools if you mass email: Tout and Yesware are two popular choices. Also, HubSpot Sales, Growbots for prospecting and email scheduling control or RevBoss which manages the pipeline development process for you and will even schedule your sales appointments. 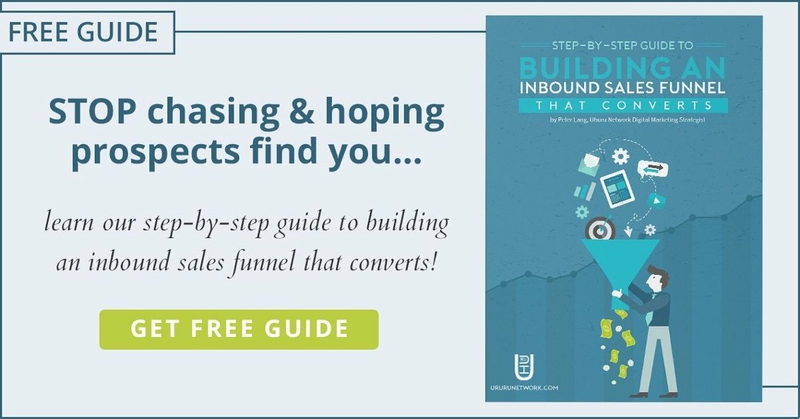 Can you recommend more resources to help me better understand outbound sales and inbound marketing? How do I choose the best sales tools (CRM, email tracking, mass email) for my business? When analyzing sales tools providers, it’s important to choose the software and company that best suits your type of business and your unique goals. Typically, companies focus on the individual features and completely miss the primary objective: business results and a long-term partnership. Use these resources to help you make your important decision. Pipedrive, Salesforce, ZohoCRM, SugarCRM, HighRise, and HubSpot Sales are among the most popular. Sign up to each CRM to check the CRM features comparison tool to determine which features best suit you. Outbound sales is a critical part of growing a company and, yes, we are a marketing agency executing outbound sales for ourselves. The difference is we believe it’s our responsibility to provide value upfront with no obligation. The value we present must leave the prospect in a better position than we found them. Outbound sales is really a hard thing to do. Not because of the complexity of work, but for it`s amounts. I think that without software, like remail, the whole thing would be really nearly impossible to do in the amounts, that will led to a reasonable result. Thanks, Peter, for sharing the easy ways for the outbound sales which are very useful for the marketer. The outbound sales is a tough challenge for the marketer. Email marketing is the best strategy for the outbound sale. Thanks Roger. Marketers typically get little exposure/training in sales. It’s a shame.